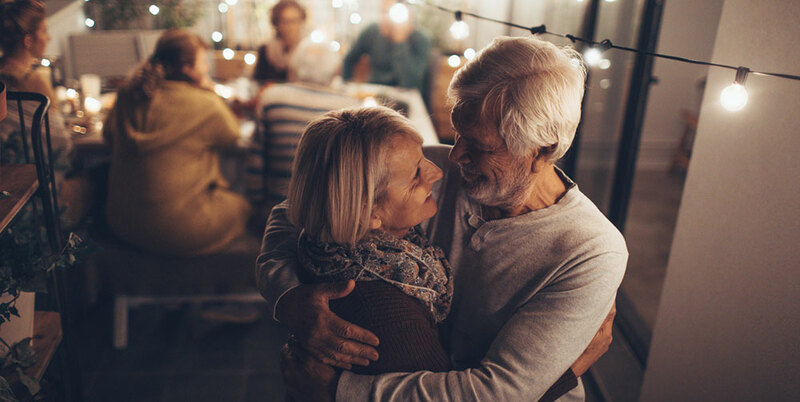 Getting back into the dating world is daunting no matter how old you are, but for those over 50, it can be positively frightful. Some independent living communities offer social events designed to get residents together. So many people are using websites such as Tinder, eHarmony and Match.com to meet people. While Millennials may take to free dating websites such as Plenty O' Fish like, well, fish to water, the over 50 set may not have any experience using this particular channel to find love. Unlike Millennials, we haven't spent our formative years using technology. We remember the days when all of our interpersonal relationships were instigated and played out in person. In person! Can you even? Even in "active adult" or independent living communities specifically designed for ages 50 and older, finding your network of friends and potential mates can be tricky. According to the website Great Family Vacations, one resident of the active adult independent living community Tellico Village in Loudon Tennessee had to create her own social group in order to meet people her own age. Julie Johnston, 61, a single retired military analyst, wanted to meet people at Tellico Village to date who were around her age. She attended several social gatherings, and was the only single person there. Even some of the social events designed to help singles meet weren't very helpful. Most of the singles were 80+ and either widows or widowers. So Julie created a new club, "The Single Tellico Village Baby Boomers Club" and the tactic worked. Julie reported that age-appropriate Baby Boomer singles "came out of the woodwork." But what if you're not living in an active adult or independent living community like Tellico Village and don't have a host of friends who can set you up with eligible singles your age, should you take the plunge and try online dating? I can attest to the success of my friends who have used online dating since the early 2000s. My best friend Suzy, who was over 50 and single after going through a divorce, tried Our Time, an online dating site for singles age 50 and older. She met a great guy and they have tons in common. They've been dating for more than three years have a happy, healthy relationship. While neither is in a rush to get married again, both knew this at the onset of their relationship, because of the screening process that Our Time provides for users. Suzy explains that they were both very honest in their screening questions, and with each other at the beginning. So, like in any successful relationship, honesty is critical. While I have several friends with similar stories to Suzy's. Some are now married to the people they met online. But being somewhat cautious about online dating myself, I still harbor some mistrust of the process and the people who use it. I have felt this way for years, long before I listened to the popular podcast and watched the six-part television series Dirty John. If you haven't seen it, it's worth listening/watching. The podcast tells the riveting story of a successful divorcee who meets "Dirty John," for all appearances, the perfect man. Over a very short period of time, his Pandora's box of personal issues opens and high drama ensues. The riveting television miniseries stars Connie Britton and Eric Bana and is riveting. Needless to say, this story did nothing to quell my reservations about online dating. But we must remember that the case of Dirty John is one of many. The bottom line is, if you don't take the plunge, you don't ever feel how refreshing the water can be. You thought you'd never join Facebook, and now you're kind of hooked on it, aren't you? Many, many great, smart, successful and attractive 50+ people have learned to socialize and date online. Maybe it's time to join them. Which Online Dating Website Is Best for Me? As social media becomes an ever more powerful influence in our lives, it’s natural that online dating/matchmaking services have also proliferated. The number of available online dating options is positively staggering—an estimated 8,000 sites worldwide, including over 2,500 in the United States alone. If you’re looking to meet that someone special for the long-term, or just want a like-minded person to hang out and have fun with, it behooves you to try online dating. The reason I say this? The sheer magnitude of the number of people from which to choose. Online dating has become the second most common way for (all age) heterosexual couples to meet, behind introductions through friends. And according to Ortega and Hergovich, two Cornell University scholars who have written extensively about online dating and social interactivity, online dating is “far and away the most popular” way for homosexual couples to meet. 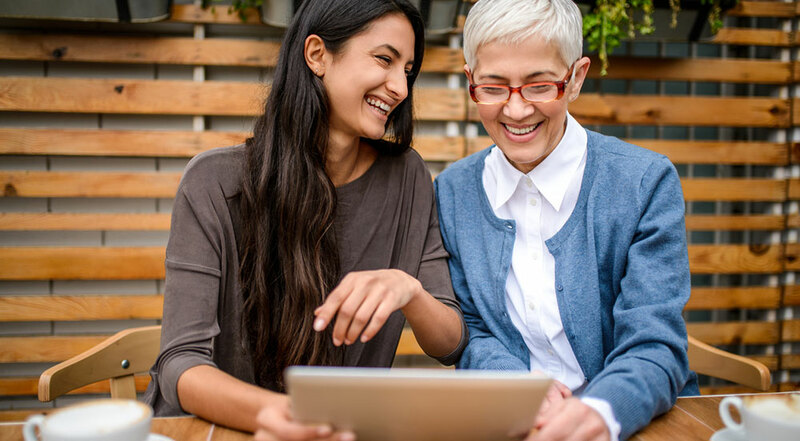 The advent of online dating sites has led to some diversification, and sites have emerged that are specifically tailored to help connect active adults, over 50, empty nesters, widows and widowers, Baby Boomers, and everyone in between! If you seek a very specific profile, these websites can definitely connect you with that 62-year-old retired chef who enjoys windsurfing and agility training his guinea pigs. The rest is up to you. As the editor-in-chief of DatingAdvice.com, Hayley Matthews make it a priority to help people have positive online dating experiences. She and her team work hard to provide the most accurate reviews and well-researched articles on the various dating sites. As daughter of a 60+ mom who began online dating several years ago, Hayley is aware of the reluctance of some older people to jump into the dating pool again. Every year, DatingAdvice.com ranks the top senior dating websites based upon features such as approachability, signup process, cost for membership, gender ratios, and ease of use. Another factor that is important to many users is the efficacy of the built-in matchmaking algorithms, or how well the website matches people based upon personality traits and interests. Older users of dating websites often appreciate the ability to sort easily, based upon desired outcomes. In other words, you may be seeking romance and a serious relationship, rather than casual hookups. Some users desire friendship above all other relationship types. Still others are primarily concerned with staying safe, and gravitate towards the websites such as Match.com, which have a strong emphasis on the personal safety of its users. According to Hayley, the primary advantage online dating websites have over matchmaking agencies is that their overall scope is so much larger. Websites have the ability to reach millions of users, it’s just that simple. Matchmaking agencies, however, have far more limited reach and selection. While they definitely add the personal touch, some can be prohibitively expensive, and you’re at the mercy of your matchmaker when it comes to choosing potential partners. Online dating services enable you to have more control over your selections. According to DatingAdvice.com, three of the most popular sites for age 50 and over are listed below, along with some of their key features. OurTime.com - With an estimated 1.5 million active members and more than 8.9 million monthly visitors, OurTime is an ever-growing senior dating site. Those over 50 can find friendship, dates and serious romantic relationships using a simple signup process that also emphasizes safety. The ratio of men to women users is 48% to 52%, considered good as it reflects a relatively even distribution of male to female users. Establishing a profile can be done relatively quickly, and the system of matching people is advanced, with easy-to-use search and messaging features. Cost: $29.96/month and up. SilverSingles.com – The self-described “home of serious dating for 50+ singles looking for love and companionship,” Silver Singles has been around since 2002 and after a couple of name changes, reports over 85,000 users. The site proudly advertises itself as one of the most user-friendly of the 50+ dating websites. Silver Singles has a proprietary matchmaking algorithm to help customers find a good match based upon personality and interests. The gender ratio is weighted towards female users, with 41% men and 59% women. Cost: $19.99/month and up. Match.com – With 39.7 million monthly visitors, this website has one of the widest scopes of any dating website. While Match is not restricted to seniors, filter functions allow users to search for specific age ranges. People from a variety of backgrounds may search using their preferences and compatibilities as filters. At 49% male to 51% female, the ratio of Match.com users by gender is one of the most balanced. Match is so confident in its abilities, it offers a “love guarantee.” If members don’t meet that special someone within six months, they receive another six months for free. Cost: $19.99/month and up. It’s good to prepare yourself for the dating experience. Here are some tips to help you take the plunge, and stay safe while enjoying dating again. Hone your self-love and self-preservation instincts. Don’t give your date your home address right away. It’s not unreasonable to do a background check on your date if he or she seems too good to be true or scores high on your BS-O-Meter. Remember to keep highly personal information out of initial conversations. Manage your expectations. Your date may not be fabulously successful or look like Prince Charming, but who’s perfect? After 50, most of us have a wrinkle here and a jiggle there. Keep an open mind and be kind. You’ll know if there’s chemistry after an excellent conversation and lots of laughs. But…If you’re amazingly fit for your age, you may strongly prefer someone who’s got the same dedication to fitness, and the physique to prove it. All’s NOT fair in love and war, but that preference is totally fair. And don’t expect Couch Tater to change just because you work out four hours a day. Expect baggage. We ALL have baggage. But when you’re 50 and older, you should have at least dealt with said baggage and come to terms with the issues surrounding it. Chaos and drama should also be neatly packed and stowed in your overhead compartment. Be honest with her, and with yourself. If you don’t find a love connection with your date, let her know in a kind way before she begins to get serious. You two may be destined to be great friends but it’s not going to happen if you lead her on with weeks and weeks of dating, then break things off suddenly (the kids call this "ghosting." Life is a vetting process that can tell you a lot about compatibility. Taking things slow can help you get to know your date’s true character in a variety of situations. Over time, artificially good behavior gives way to a person’s true instincts (for a worst-case scenario, see Dirty John). Mr. Clean can become Scrooge Tipper, Road Rager, Golf Club Thrower and/or The Hungry Meanie. Or worse. Treplus Communities is dedicated to helping active empty nesters enjoy their freedom and optimize this next phase of their lives. We hope that this article has been helpful and encouraging to those of our single readers who may be considering online dating. Treplus Communities is the premiere luxury apartment provider for 55+ active adults. Our single-story zero step ranch homes have every feature you want, including attached garages, oversized floor plans and high-end finishes. Come visit our senior apartment communities in Dublin and Pickerington (coming soon to Delaware too!) and see why people think they’re condos for rent. Treplus is redefining 55+ living!